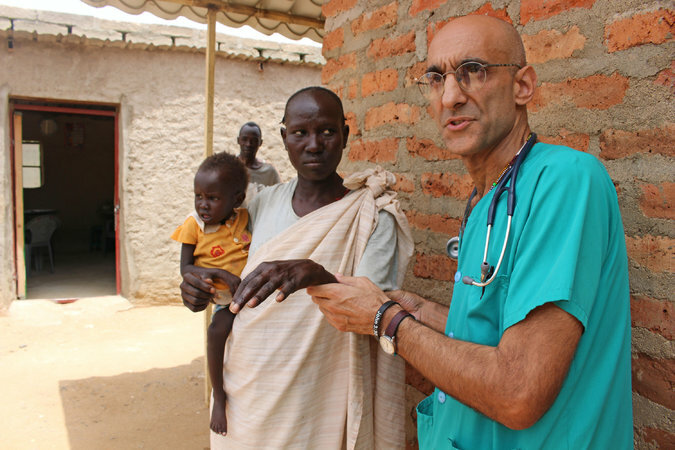 February 2018 - Blue Rock Construction, Inc.
Back in October, the inaugural Blue Rock Golf Outing helped raise over $77,000 to benefit Dr. Tom Catena and his life-saving mission in the Nuba Mountains in Sudan. As for the documentary, “The Heart of Nuba” secured a domestic theatrical release and will premiere at the United Nations on April 6. There’s also a two-year U.S. licensing deal with Hulu. Also, Catholics in Media Associates unanimously voted “The Heart of Nuba” as the first recipient of the CIMA Social Justice Award. The ceremony takes place March 16. According to Ken, the film reached Sudanese President Omar Hassan al-Bashir, the man responsible for the genocides over his 26-year reign. After screening the documentary, the president called for a ceasefire in the Nuba Mountains and the Blue Nile State. So far, the ceasefire has lasted one year (February 2017). In September, Ken interviewed al-Bashir, and it’s been cut into the film’s ending. As for Dr. Tom, he continues to fight the good fight at Mother of Mercy Hospital. Last year, Dr. Tom was award the prestigious $1 Million Aurora Prize for Awakening Humanity, recognizing the thousands of lives he has saved. Thanks again to everyone that helped organize and participate in the golf outing. We’ll keep you posted when we announce the date for the second annual Blue Rock Golf Outing. If you missed the photos from last year’s golf outing, they’re still available by clicking HERE.